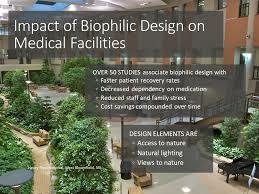 Biophilic design accelerates the healing process of patients. February 18, 2018——-Growing up in rural America I was always connected to nature. I knew from an early age that I could find peace somewhere out of doors, sometimes laying back on my saddleless horse pondering the clouds or walking the farm fields with my dog. Peace in nature was always close at hand. John Muir said it best, “In every walk with nature one receives far more than one seeks!” Biophilic design recognizes this. Biophilic design in architecture creates environmentally friendly, energy-efficient buildings and developments by effectively managing natural resources. 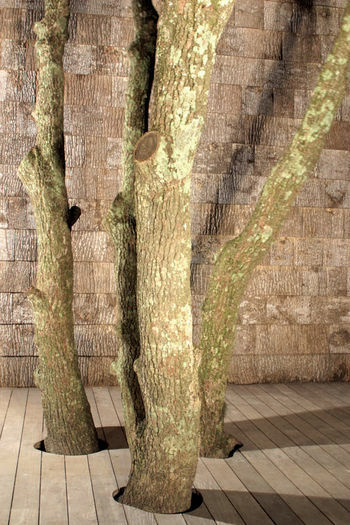 It recognizes the human need to be close to nature by replicating it in architectural design. It seeks a healthier, happier way of life through creating sustainable buildings and cities. 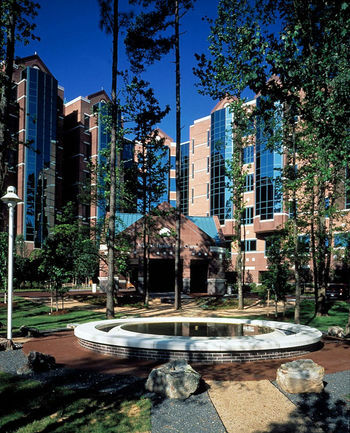 Christus St Michael Health Care Center in Texarkana, Texas where nearly every hospital room looks out on trees or other elements of nature. The impact of these designs? Studies show that Biophilic designs have a positive effect on our health and well being. Also, using sustainable materials in the construction of biophilic designed buildings has a positive effect on our environment. Biiphilic design provides another example of creating a healthier planet for future generations. Categories: Building Green, Renewable Resources, Sustainable Education | Tags: #biophilicdesign, #climatechange, #renewableenergy, biophila, Renewable Resources | Permalink.